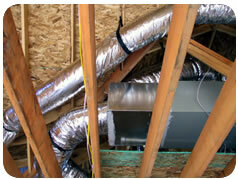 ADMA has developed an on-line E Learning Program to assist the industry and in particular , installers of flexible duct. The program has been designed to bring 'up to speed' apprentices, qualified plumbers, duct installers duct manufacturers/importers, architects, specifiers, regulators, councils and authorities with current regulations AS4254.1 that came into effect 1st May 2013. Australian Duct Manufacturers Alliance (ADMA), supported by the Federal Government have embarked on raising the standard of the industry. As you may be aware, the standards for flexible duct have been in a state of flux in recent years. 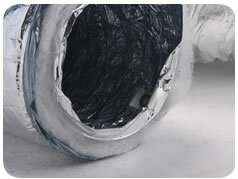 Over an extended period, there have been concerns raised over the consistency and quality of flexible duct in relation to construction, fire standards, labelling and thermal performance. At a meeting in Melbourne in 2006, hosted by the Australian Greenhouse Office (AGO), in conjunction with ACCC, ABCB and Trades Practices Organisation, the Flexible Duct Industry was advised that they were aware of the widespread national lack of conformance and regulation regarding the thermal performance of flexible duct. These bodies advised the flexible duct industry to self regulate as they did not have the expertise or an understanding of the many complexities involved with the thermal values of flexible duct. Following discussions with the AGO, the Heating and Cooling Association of Australia (HCAA), as part of the Master Plumbers and Mechanical Services Association of Australia ( MPMSAA), recently set up a not-for-profit company, the Australian Duct Manufacturers Alliance (ADMA), to represent duct manufacturers / assemblers. ADMA has elected a committee consisting of representatives from duct manufacturers and the MPMSAA. Develop an industry wide standard test to determine the "effective composite duct thermal resistance" (Rt or REFF) for assembled flexible duct, and implement a system for random testing of duct to ensure compliance with the BCA and Australian Standards. Develop an ADMA self regulated system of addressing non compliance to the required standards for ADMA members. Represent the flexible duct manufacturing industry via a single voice in lobbying submissions to the Government, Australian Greenhouse Office, Australian Building Codes Board, Australian Standards and other regulatory authorities.